GameStop Italy already spoiled the news, but at least we have confirmation. 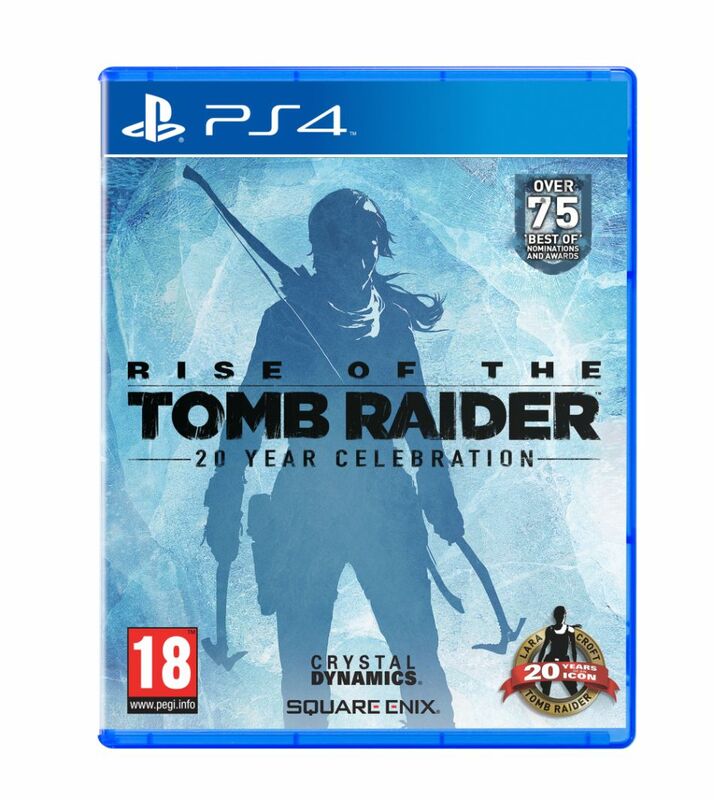 Square Enix has announced Rise of the Tomb Raider: 20 Year Celebration will launch on PlayStation 4 in October. 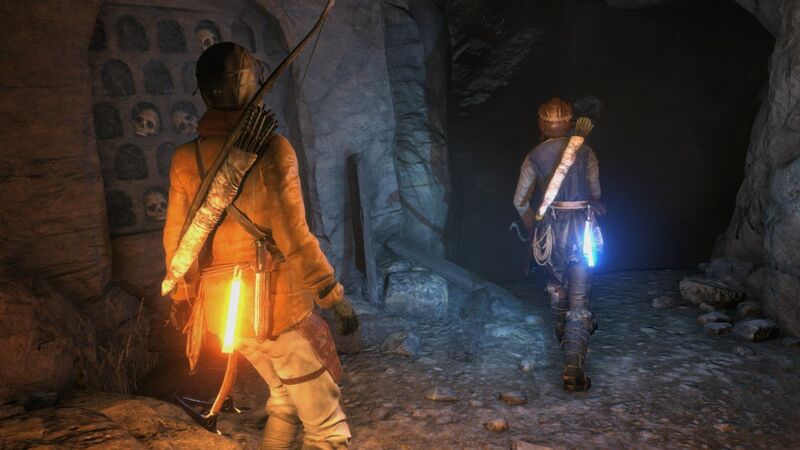 It will include Rise of the Tomb Raider and a new story chapter entitled Blood Ties, and a new co-op mode Endurance. 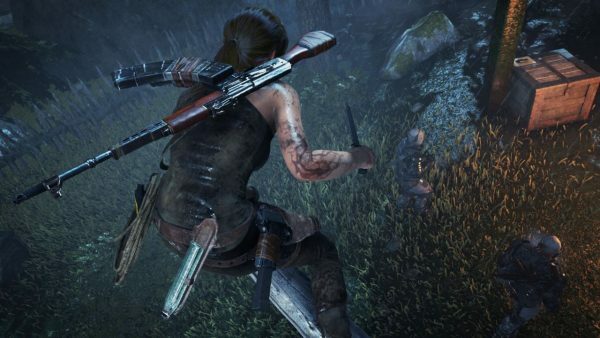 PlayStation VR support for Blood Ties is also included along with all of the previously released DLC, more outfits, weapons, and Expedition Cards. 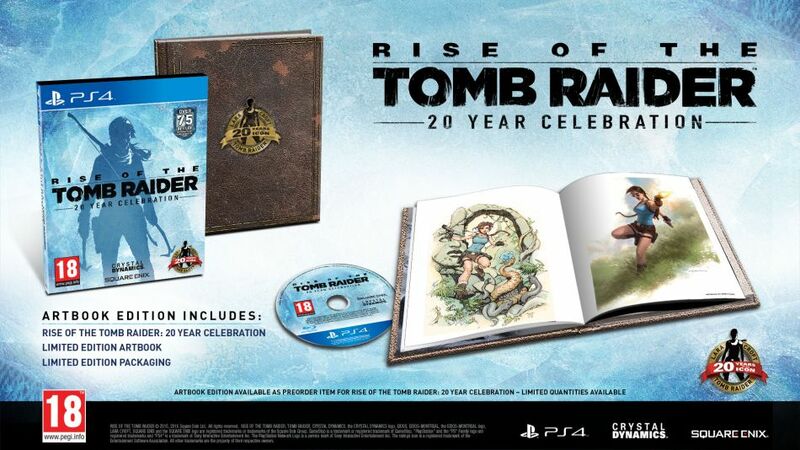 The Limited Edition of the game also comes with a limited edition art book. All of the aforementioned extra content, except for VR support, will be made available for Xbox One and PC players. Current Season Pass owners on Xbox and PC will automatically receive the extra content for free. 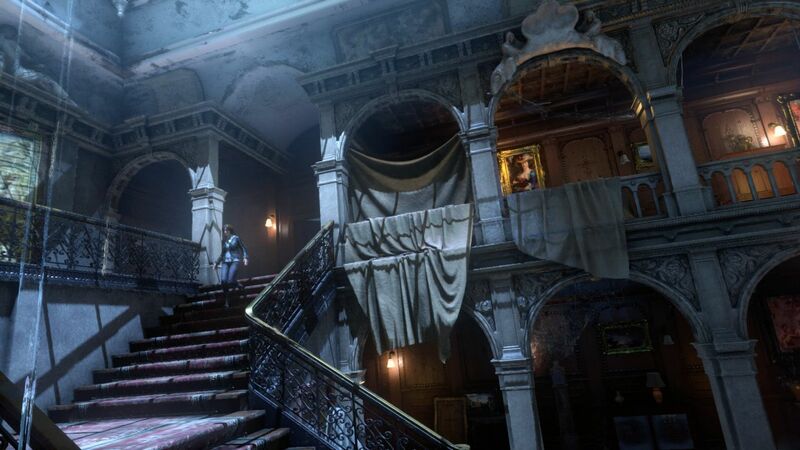 Blood Ties, a new premium DLC, beckons players to explore Croft Manor in a new story mode; then defend it against a zombie invasion in Lara’s Nightmare. 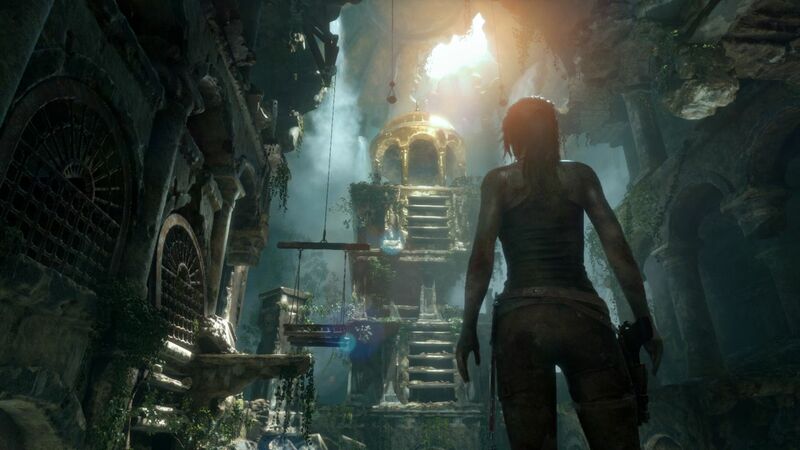 When Lara’s uncle contests ownership of the Manor, Lara must explore the estate to find proof that she is the rightful heir, or lose her birthright and father’s secrets for good. 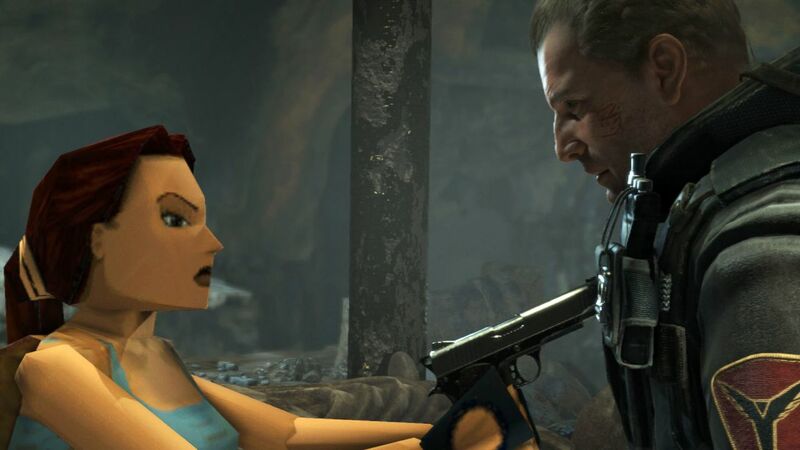 Players can then test their zombie-killing skills in the replayable Lara’s Nightmare mode: a haunted Croft Manor where players have new challenges and must rid the Manor of an evil presence. Support for PlayStation VR lets players unlock the mysteries of Croft Manor in first person. 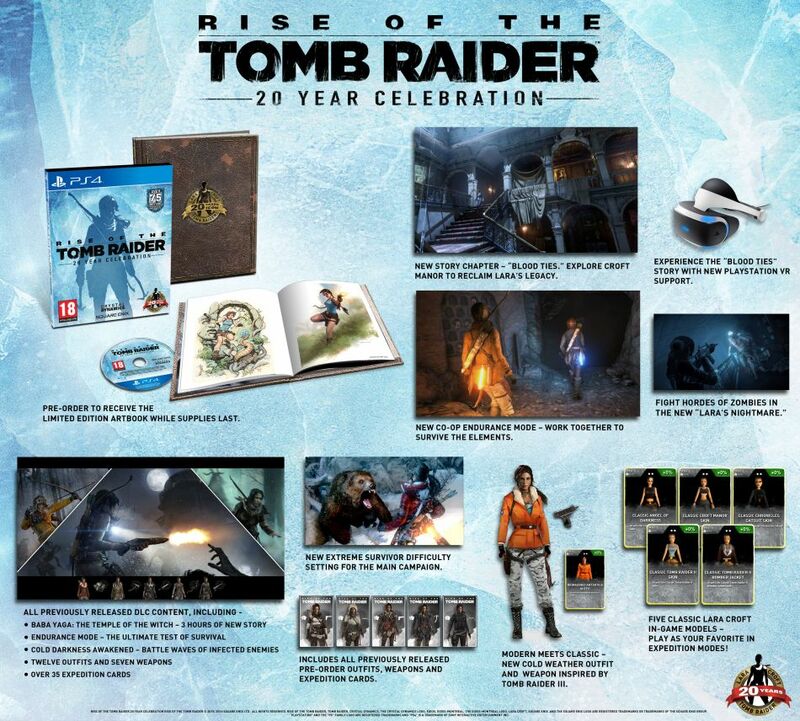 Rise of the Tomb Raider: 20 Year Celebration will be released on October 11.